Anttu Koistinen from a famous Koistinen Kantele - family-owned company in Finland, held a music workshop to the older children in the Finnish School of Kingston. All pupils over 6 years old had a change to join in to the tuition. 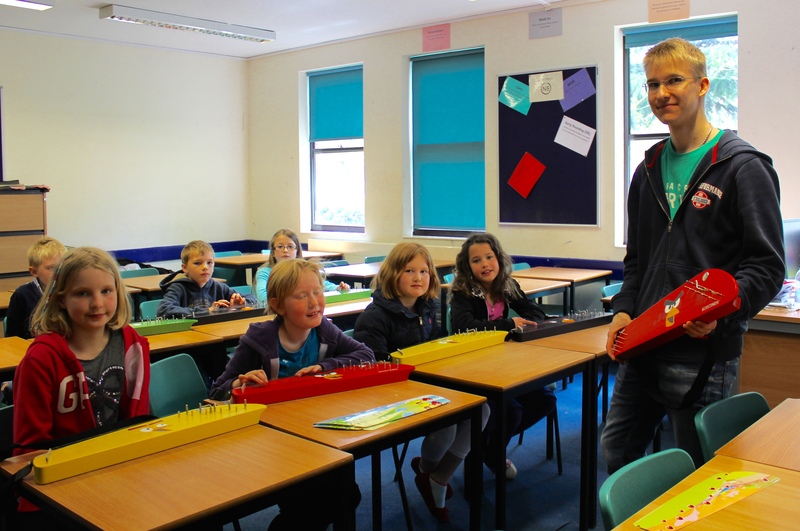 Here Hattivatti -class is learning how to play 5-string kantele guided by Anttu. We are looking for Teaching Assistants for classes. 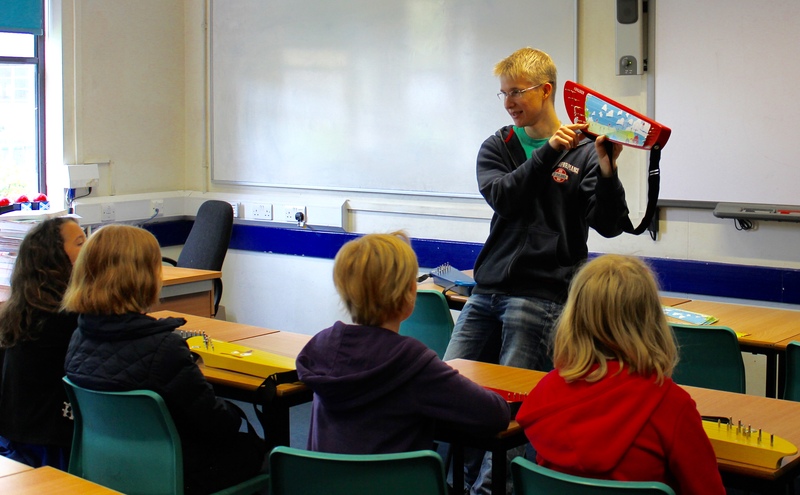 A Teaching Assistant reads stories and helps the children with reading, writing and artwork. The post would suit for example a Finnish parent or an au-pair. If you are interested in helping, even for a short time, please contact Teachers' Coordinator Maija Manuel email: paaopettaja@fsok.org.